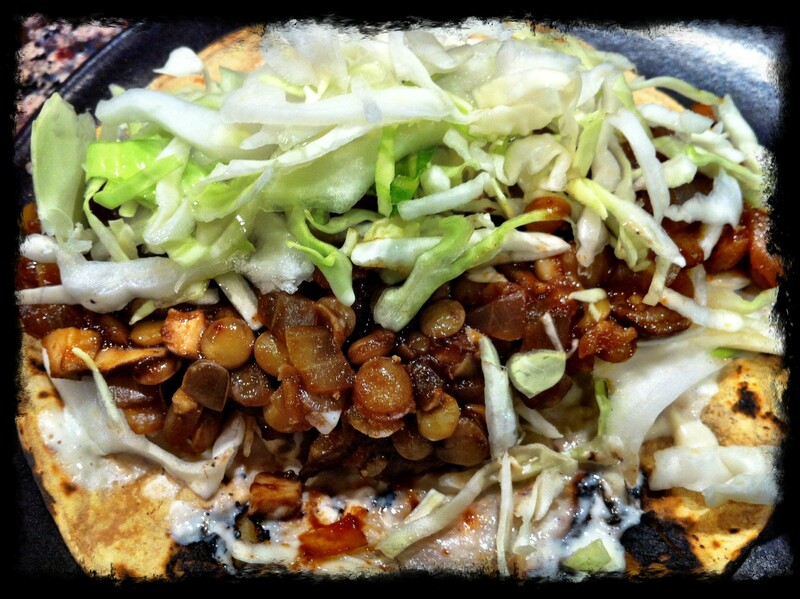 If you’re thinking “BBQ, and lentils – in a taco!? Weird!”, think again. It’s delicious. Of course, if you aren’t a fan of BBQ, you won’t like it because it has a strong BBQ flavor. Personally, I’d like the lentil mixture without the sauce just as much, but the BBQ is yummy. These are easy to make and so flavorful. We enjoy them topped with my homemade non-dairy sour cream (see in Recipes on this site for Sour Un-Cream), raw cabbage and lime. Note: this recipe is gluten-free only if you use a BBQ sauce that is gluten-free.